Mix it, shake it, vape it! ALL 240ML WORTH OF IT! 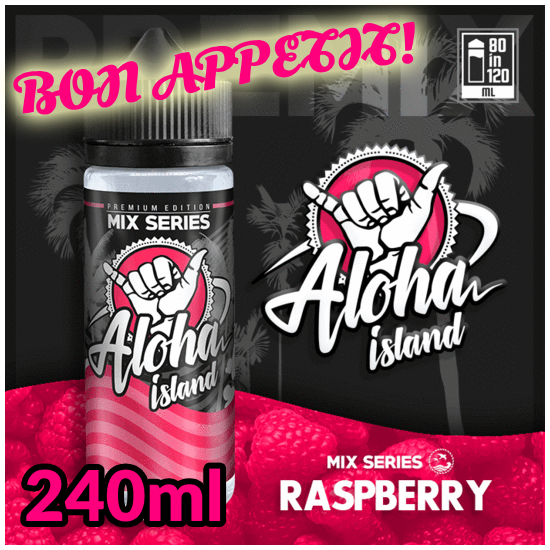 The winner of the lottery #1106 for 240ML ALOHA ISLAND RASPBERRY SHORTFILL SHAKE N' VAPE JUICE was Stefano sacchetto from Portici , Italy on Dec 1, 2018. What's to say about this giveaway? Not much, really...other than the lucky winner will be puffing on some excellent vape juice, that's for sure! Raspberries have got to be one of the most appreciated berries on the planet, for some, they are better than strawberries so make sure you enter the giveaway and cross all fingers and toes! Have you visited our sponsor yet? www.antitpd.com sells both ready-to-vape eliquids and nicotine base at really good prices. They send worldwide, too! PLEASE CLICK HERE TO VISIT THEM - IT HELPS US KEEP THE GIVEAWAYS ALIVE.